The search engines don’t know what you are about just yet. Pinterest is a search engine too. You don’t have a loyal following to promote your blog posts to. So how do you combat all this and get the blog traffic that your awesome content deserves from day one? One great way is to join pinterest group boards and tailwind tribes. Pinterest Group Boards: What they are and how they work. The difference between pinterest group boards and regular pinterest boards are that more than one person can pin to the board. A group board belongs to its creator and as such inherits all the follows of the creator’s profile. Note that the followers of a group board are only people following either the group board owner’s profile or the board itself. The followers of the group board contributors don’t count towards the group board’s total follower count. 5 Reasons to join pinterest group boards. When you are still new, having your pins on high quality group boards prove by association that your pins are high quality too. A keyworded group board gives your pin relevance on a subject. Group boards usually have a large amount of followers which means more eyes and potential repins and clickthroughs on your pins. 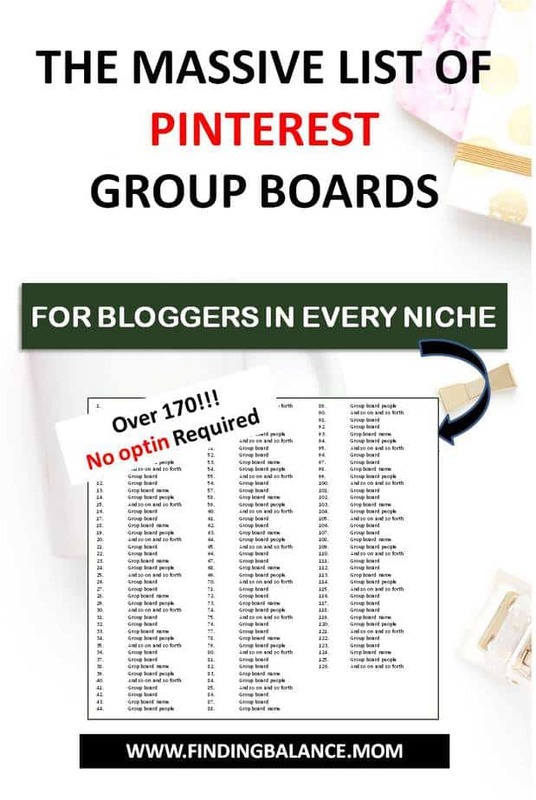 Being a contributor to a high quality group board makes you more likely to be viewed as a high quality pinner by pinterest which means more of your stuff get shown in the feed. Quick access to great quality pins for curating to your own boards. Double group board points for you when you repin from the board too! 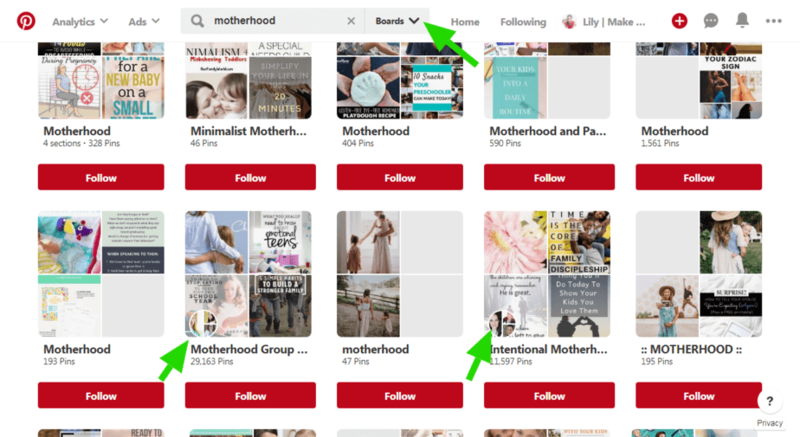 Searching pinterest for say “motherhood group board”. Then filter your search by boards, the boards that do come up are likely to have group board in their name though. The other way would be to search for “motherhood” and again filter by boards. This time you’ll have to scroll through the results to find the boards that have that shared circle that signifies group boards. My preferred way is to go through the board list of a blogger I follow and apply to any open group boards she’s on. That board is guaranteed to be a good one. The final way is to use Pingroupie. I found my most viral parenting group board from pingroupie. 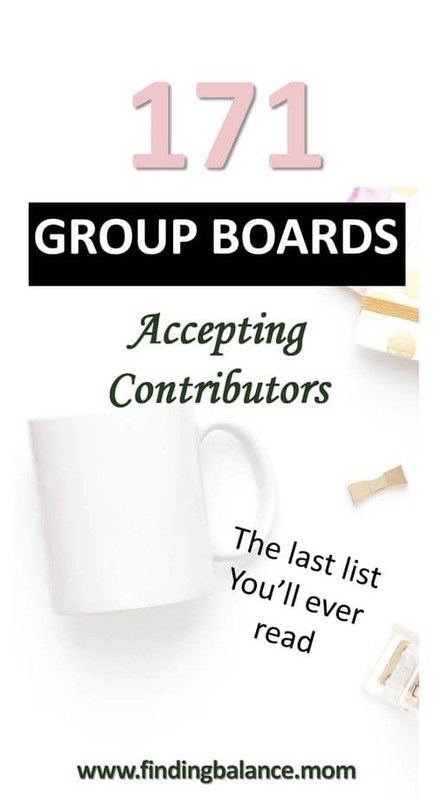 The easiest way to get into a number of group boards I’ve found is by joining this facebook group and searching for group boards in your niche. Remember to tag the poster when you comment because not everyone follows their own posts. While that method is pretty easy, the best way to get on high quality group boards is to directly email owners of Pinterest group boards the influencers in your niche already belong to. The group board owner is always the first circle to the left where contributors show up. It’s best practice to follow them and the board before requesting an invite. Double points if you repin a few from the board. Here’s a great email pitch you can use. I’ve just found your __________ group board and went on a binge repinning session on your pins. Whoa! You have some really great pins on there. I also blog about _________ and was wondering if it would be okay to join your board. My pinterest url is ____________ and pinterest email __________. You can expect only high quality pins and zero spam from me. PS: I’ve followed you and the board. You can easily find their contact info from their blog contact page or sometimes in the board description. When you’ve been accepted to pin to a group board you applied to, you’ll receive an invite either by email if you have email notifications turned on or you can find your invites in your pinterest account message folder on desktop. There’ll be two buttons “Accept” and “Decline”. You know which one to chose *winks*. The process of pinning to a group board is just the same as pinning to a regular board. You could upload a pin directly to pinterest using the red plus sign or save from a webpage or repin from another board. You would want to pay attention to the board rules though, some have daily pinning limits you do not want to exceed to avoid getting kicked out. You’ll also want to make sure your pins are spaced out and you aren’t pinning all your pins at once. I typically schedule out my pins directly from my website to group boards using tailwind to keep a great spacing between them, pin them at the times with the most engagement and because pinterest loves new pins! It’s almost like I have a personal assistant pinning directly from my blog at the right times non stop. I’ll be gushing more about this incredible tool later in this post and you will too after you’ve seen what you can do with it. Get one month of tailwind free to check it out. 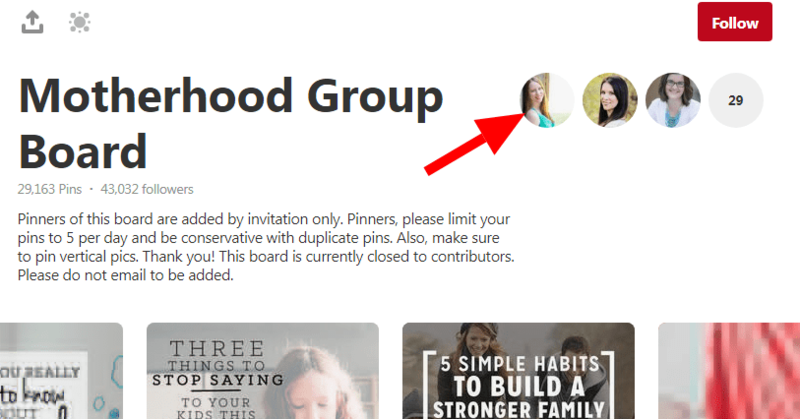 Joining and pinning to group boards isn’t all there is to getting pinterest traffic. Here are a few tips to help you on your journey. Bad group boards can hurt rather than help your profile so avoid them like a plague. To best way to fish out bad group boards is through tailwind analytics (Get one month free). You can filter your results by boards and see which ones you need to leave and which ones you need to pin to more frequently. You probably already guessed it but when a group board is bad for you, you’ve got to leave it. I left a couple of group boards and I started to hit new virality and engagement milestones immediately. And my pinterest account started to take off again. I could easily find this info using tailwind! update few days later these are my new stats! And not just rising engagement rates in stats I’m having actual repins on pinterest too. Leave the junkyard group boards ASAP! Pinterest is a search engine, that’s why your follower count doesn’t really matter. People are actively searching for your pins so use the right words to describe your boards, profile, pins. Put keywords everywhere you can! I go into setting up a great pinterest business account in this post. Pin at the right times. You want to pin at the times when your pins receive the most engagement for maximum results. A scheduling tool like tailwind can help you pinpoint those times even if you decide to pin manually (although this is likely to skew the results a bit). I was surprised to find that some of my best engagement times are in the middle of the night when I’m happily asleep! Another reason why I love tailwind. Pinterest loves consistency. Don’t drop 100 pins today and none for the rest of the week. It’s best to pin 10 pins per day everyday instead, especially in the beginning when it’s so easy to become overwhelmed. Yet another reason why I love tailwind, you can just set it and forget it! Make Multiple pins for posts – Get 7 free templates so you don’t go crazy designing pins. Track your results and build on them – Kristie Hill has a free custom pinterest analytics dashboard that is SOOO helpful. Phew! That’s all for now. I’ll keep updating this post as often as possible. Get your free month of tailwind here. Wow! Thank you for this! Also, has anybody noticed the “Request To Join” buttons that some people have added to their group board page? It is SO MUCH EASIER! I wonder if more people don’t know about this? Hey Michelle! So cool right? It does seem like it’s not all pinterest group boards that have that feature right now. Perhaps people have to turn it on first. As I’m beginning to be serious on Pinterest, I’ve been looking for relevant groups to join. Thanks for making it awesome. So glad you found this list of pinterest group boards helpful. Yes you are so right it’s hard to find open pinterest group boards accepting contributors especially when you are just getting started with pinterest for blog traffic. Will you be trying out my email pitch sample, I hope you get accepted into pinterest group boards really quickly. Thanks for stopping by. PS: I just checked out your new pinterest group board and will be adding it to the list when I update next weekend.